Reiki (pronounced ray key) is a Japanese word meaning Universal Life Energy and is a powerful form of hands on healing which was rediscovered in Japan at the turn of the century. 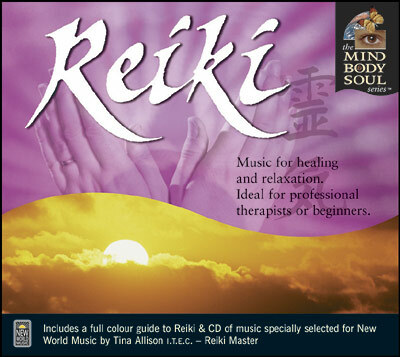 Reiki Master Tina Allison, has compiled an album that is relaxing and ideally timed for Reiki treatments. This album allows the practitioner to concentrate on the Reiki and ignore the clock.